West Ham United have announced the signing of attacker Simone Zaza from Juventus on a one year loan deal, according to SkySports. West Ham United have completed the signature of Simone Zaza earlier today, as reported by several reliable sources. This loan deal has cost £5million and this deal has the option to make it permanent for additional £20million in future. 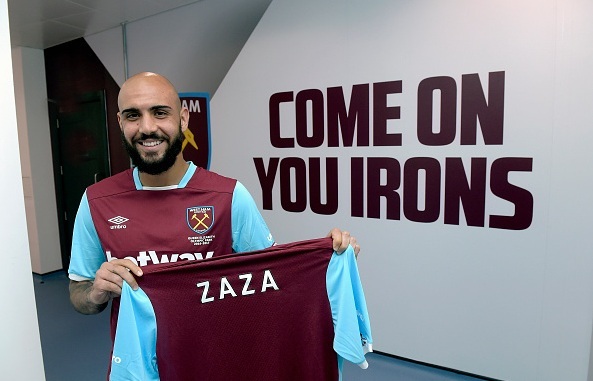 Zaza is the Hammers 11th signing of this transfer window. The 25-year-old struggled at the Turin side last season, he made 24 appearances and netted eight times in them. He was also the part of Italy squad in Euro 2016 . Zaza has already experienced at the Upton Park while playing for Juventus earlier this month. He netted the winner against West Ham in a 3-2 win. The Italian striker is very happy with this move as he thanked the club and the fans on the website. It is expected that he has no plans to move back to Juventus in the future. The former Sassuolo striker is yet to decide which number to wear at the London side. Meanwhile, Enner Valencia is now expected to leave the club as the reports claimed yesterday that the arrival of Zaza would mean end to Valencia’s regular football.